Today Vesta draws up conjunct the North Node. This aspect will still be in place during the forthcoming July 9 Full Moon, and is most likely a clear signal to line up with your most important and cherished goals and head straight down the middle of the path. Today’s Birthdays: Johann Stobaus (1580-1646), Eino Leino (1878-1026), Mark Chagall (1887-1985), Dhan Gopal Mukerji (1890-1936), Hugo Theorell (1903-1982), Frederica Sagor Maas (1900-2012), Frida Kahlo (1907-1954), Vance Trimble (1913), Harold Norse (1916-2009), Billy Mauch (1921-2006), William Schallert (1922-2016), Merv Griffin (1925-2007), Bill Haley (1925-1981), Janet Leigh (1927-2004), Dalai Lama (1935), Ned Beatty (1937), Sylvester Stallone (1946), Nathalie Baye (1948), Nanci Griffith (1953), Laurent Gaude (1972), 50 Cent (1975), Tamera and Tia Mowry (1978), Kevin Hart (1979), Eva Green (1980), Manny Machado (1992). 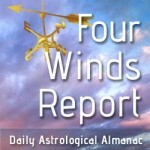 If you’re interested in learning more about astrology (or possibly other topics), look no further. Eric’s classes are engaging, fun and immensely informative: each session is packed with original content that will enhance your knowledge, regardless of whether you are a beginner or more advanced. “I am a Planet Waves Backstage Pass member and have been in four of Eric’s classes so far — Tarot, the Houses, Karma, and Eroticism. The open and accepting group space Eric creates welcomes participation. I tried out ideas. Took chances. Laughed out loud. Listening to how Eric works with others, gently, with an open heart, was as instructive as any of the content covered. But the content was potent too. As a result I did my first public tarot readings. I’ve made more sense of my love life, and become a better friend to my 12th house. 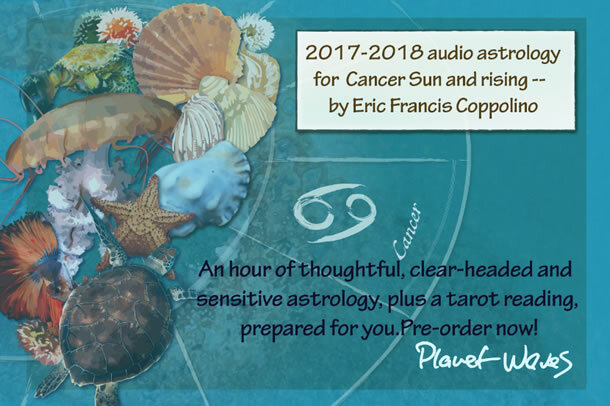 When you purchase an astrology class, you’ll get permanent use of the full recording and the complete set of materials used, plus access to our exclusive Facebook group. You can view our list of classes so far at the Planet Waves Boutique. Moon Phase: Moon is in Waxing Gibbous phase and enters Full phase on July 8-9 at 9:06 pm PDT / 12:06 am EDT (04:06:30 UTC). Next Full Moon is in Capricorn on July 8-9 at 9:06 pm PDT / 12:06 am EDT (04:06:30 UTC). Moon Sign: Moon is in Sagittarius and enters Capricorn on July 7 at 10:44 am PDT / 1:44 pm EDT (17:44:28 UTC). — Ceres sextile Uranus at 10:06 pm July 5 PDT / 1:06 am EDT (05:06:39 UTC). — Vesta conjunct True Node at 6:40 am PDT / 9:40 am EDT (13:40:16 UTC). — Venus opposite Huya at 9:25 am PDT / 12:25 pm EDT (16:24:51 UTC). You will have many exciting financial opportunities this year, though you must respect your own talent. At the same time, you would be well-advised to shift any initial discussion away from money and keep the focus on your mission and purpose, and how you may serve others. Money is not the only measure of value, and it’s certainly not the first. Today Vesta draws up conjunct the North Node. This aspect will still be in place during the forthcoming July 9 Full Moon, and is most likely a clear signal to line up with your most important and cherished goals and head straight down the middle of the path. It’s clear that as a species we need to grow up fast. You can begin that process as an individual, by resolving to focus on the work you were born to do and to keep the more enervating distractions to a minimum. The first step is understanding who you truly want to be. Astrology can help you. In the right hands, astrology can provide you with a new perspective on your life. My readings are designed to help you consider all of your possibilities, your greatest potential, and to help you see your problems in a new light. I’m about to record the Cancer reading for you. If you order now, you’ll get the best pre-order price of $33. Shortly before publication, it’ll be $44 and then the final price will be $55. These readings condense 22 years of my counseling experience, nonstop reflection on the human condition and lots of excellent astrology. They are in plain talk, easy to follow, and paced gently. They are some of my best work; these readings are an invention. And you can have all the benefits. 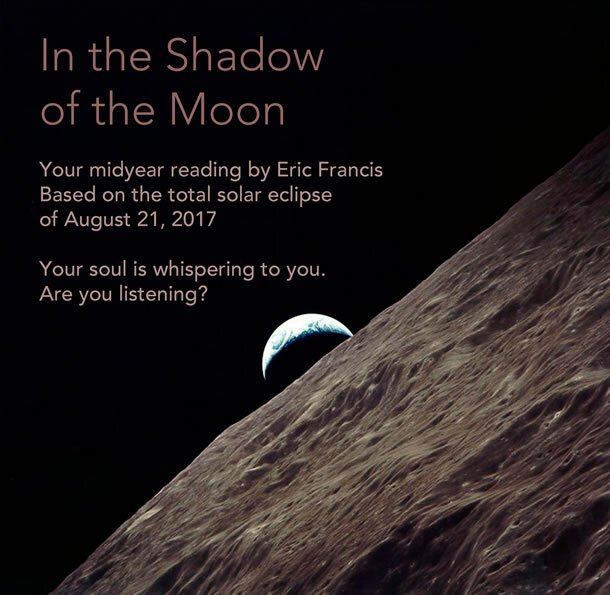 I plan to do this reading very soon — so get on board before the next two price increases. Here’s how to pre-order. If you’re seeking a private consultation, here’s that link.